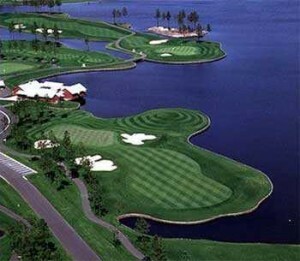 There are over 100 golf courses on Myrtle Beach: http://www.golfnow.com/myrtle-beach, so it will be easy for holidaymakers to find one that suits their needs. Travel agents can make your trip hassle free by helping you choose a golfing package. This is by far the best way to ensure you satisfy all of your golfing needs and your agent can also advise you of any special offers to save money. There are several resorts to stay in when golfing at Myrtle Beach, which is just one mile from the great Atlantic Ocean. This hotel welcomes families and caters for the disabled. Legends Resort has five golf courses on offer and are considered some of the best in South Carolina. For those golfers making a long journey – or if the airline sends your equipment to a different destination – help on hand. There are several places to hire all of your clubs, tees and golf balls in the Myrtle Beach area and it will not break the bank. Myrtle Beach Golf Club Rentals offers 7 days hire for $125.00. Included in this package are 14 clubs, which include a driver and complete irons. If you have any special requests they can accommodate as long as they are given plenty of notice. Grip replacements start from $3.95 but there is no charge for the installation. It is possible to book tee times online to avoid disappointment. So, you have checked in to your hotel and you have all of your golfing equipment but where are you going to eat once you are out and about enjoying the game? As you can imagine, seafood is in abundance here. Pier 14 is a good choice. The food is tasty and inexpensive. After 4.30pm, you can enjoy their fabulous 18oz steak for just $26.00. Also on the menu is a selection of fish dishes, sandwiches and soups. Beef O’Brady’s at the north end of Myrtle Beach is a fabulous place to take the kids. The food is child friendly (burgers, nachos etc) and they also have a games room so the kids can play whilst you have a few minutes respite and enjoy your meal. For Country and Western fans, The Bowery may be right up your street. The menu is not extensive, mainly burgers (and lots of them) but it is a good place to have a snack. Try ‘Kenny’s Killer Nachos’ – have a cold beer on hand though as this snack is very spicy due to the jalapeno topping. There are many decent places to dine in Myrtle Beach but don’t let the amount of choice spoil your golf game. For the inexperienced golfer advice is available on most golf courses and for a reasonable price, lessons can be arranged so that you get the most out of your holiday. Wherever you end up in this delightful resort, your game is what it’s all about. Explore the many golf courses Myrtle Beach has to offer and you are bound to find the perfect one for you.